Geoff turned me on to this remarkable series called “Made by Hand”, a Brooklyn-based film series covering the stories behind handmade objects and the people behind them. The second short film in the series, follows knifemaker Joel Bukiewicz through his personal journey of becoming a craftsman. Like Geoff, I identified strongly with Joel’s story and took notes on a few themes that stood out to me. I’m a devout bootstrapper, for a lot of reasons including of my relationship with money. It’s not that I don’t have big ideas – believe me, I do – but I know that most of the time I can start with very, very little investment of cash and just a smart investment of my time. While I’ve only bled once or twice for my work, I’ve felt the pain of a mistake. Mistakes are part of the learning process, so long as you’re learning from them and seeing the opportunity on the other side of the mistake. I’m still working on my 10,000 hours. If it takes 10,000+ hours, why would you choose to do it alone once you knew there was an alternative? Joel mentions the editor of Edible Brooklyn being the human catalyst for introducing him to the world outside his own door. Every success story contains this chapter. Every. Single. One. Who’s your catalyst? Who could you be a catalyst for? “Independence” isn’t much worth the effort if you’re doing it by yourself. Success doesn’t start – or stop – with wealth. Being rich alone is still being alone. It’s interesting to hear Joel describe a movement as another layer above “community”. It’s something I’ve said before but have always struggled to describe or qualify. In Joel’s description, a “movement” describes larger changes that result in the converging of consumer & producer ecosystems. The textbooks define a “movement” as a coordinated group action towards a cause, but I don’t know if it’s always that deliberate. This sentence was extremely resonant for me. In it’s essence, the idea that we’re not able to see these convergences around us as they’re happening…but we can see that they’re likely to happen. I got to meet and hang out with part of the team behind Parisian Mutinerie, the “Brothers van den Broek” – Eric, William, and Antoine – at the Coworking Europe Conference a couple of weeks back. Eric’s presentation during day one of the event was one of my personal favorites, and I love that he’s turned it into a motion graphics video to share. Enjoy. Sometimes I feel like Seth Godin is peeking over my shoulder or into my brain when he writes posts like this one. The starfish reference is different from the one we talk about in coworking, but it’s no less relevant. For those unfamiliar with “the long tail” theory, check this out. If you’re a starfish, then, don’t sign up with the long tail guys. Build your own universe, your own permission asset. Find a tribe, lead it, connect with it, become the short head, the one and only, the one that we’d miss if you were gone. The long tail is for organizations that own warehouses. In early 2008 I got an email from a college senior who was working on a cafe/coworking project. Like many emails I’ve gotten over the years like this, I offered an open door to talk about the concept and what we were learning at Indy Hall. 3 years later, I stumbled across HOLSTEE, and in particular, the Holstee Manifesto. I immediately bought a copy to frame and hang at Indy Hall. Then, on Twitter, I got a message from Dave – the same guy who’d emailed me about his college senior thesis on cafe coworking. He told me he’d gone on to create Holstee. This poster remains one of my favorites and always bring me a smile when it shows up around the internet. And today I found the video above – a beautiful telling of the manifesto through the act of bicycling around a city. Most of the time, when a topic or trend gets big enough, people consider it an “industry” and they start to organize conferences for people to gather around the topic. Coworking is one of these things, and people are most certainly gathering around the topic. After this past weekend’s 2nd Coworking Europe conference, which is arguably a bit more like a global conference, I asked myself: “What questions are everyone asking about coworking?” Some people are curious about tools. Some are seeking information about sustainable business models. Some are wondering how to interact with local governments. But the question I think I have burned into my mind the most, and many others are thinking the same, is “How do we describe coworking?”. A definition assumes there is only one, and the experience of Coworking Europe conference showed us that there is not only one kind of coworking. Over time, the pool became more diverse. More players entered into the game, and my comfort in looking at coworking as a spectrum grew. You were “more like us”, or “less like us”, but there was room for lots of variations. Most recently, I’ve started thinking of describing coworking even more broadly. I still don’t have the mental model fleshed out, but there’s an entire ecosystem of coworking that has emerged, and I started looking to Biological Classification systems for inspiration. The key is more than one vector of organization, not simply a 2 dimensional spectrum. One of the most interesting experiences I had during the Coworking Europe conference was talking about coworking with such a diverse set of experiences and expectations. Even in a close conversation between a group of four or five people, when we all thought we were on the same page and talking about the same “coworking” ideas, a topic could enter and we’d suddenly be in opposition. These shifts are often strange and uncomfortable. It’s jarring to feel aligned with someone, and then in the span of a sentence, feel completely distant in understanding. This is the challenge of using a single word to describe what you do, without clear differentiation. We begin to quite literally trip over our differentiators, since we don’t know what they are ahead of time. One of the most confusing of these stumbles is the one that separates business centers/executive suites, and coworking spaces. Early on, most coworking constituents could agree that even if we were a bit different, we were all the same compared to those guys. By “those guys”, I mean the former generation’s shared office space: towers of floors of rentable desks, garnished with business services and meeting spaces. We philosophically opposed ourselves against them by saying “but we’re about the community, they’re just about making money”. I joked in 2008, on April Fools Day, that Indy Hall had been acquired by Regus – the world’s largest shared office company. It was tongue in cheek and something that we laughed as far from reality, but today, 3 and a half years later, Regus is walking up to our collective doorsteps and joins the “coworking revolution” with a blog post and a press release, as well as an increased presence of coworking on their Twitter account. I have no doubt in my mind that they’ve been watching us, learning from us, and reacting to the formation of an “industry” as our work moved past a fringe trend and into significant enough mindshare for them to invest time, dollars. Coworking has rocked their ships – at first a light ripple on the waters surface but over time, the waves became bigger. To expect that they wouldn’t do something to weather the storm is naive. This is a very, very interesting day. Much like the origins of coworking, the origins of Rock and Roll are unclear. No one person “invented” rock and roll, much like no one person “invented” coworking: there were people who helped it join the public consciousness at similar but different times. Music was round for long before Rock music, and work was around for long before coworking. 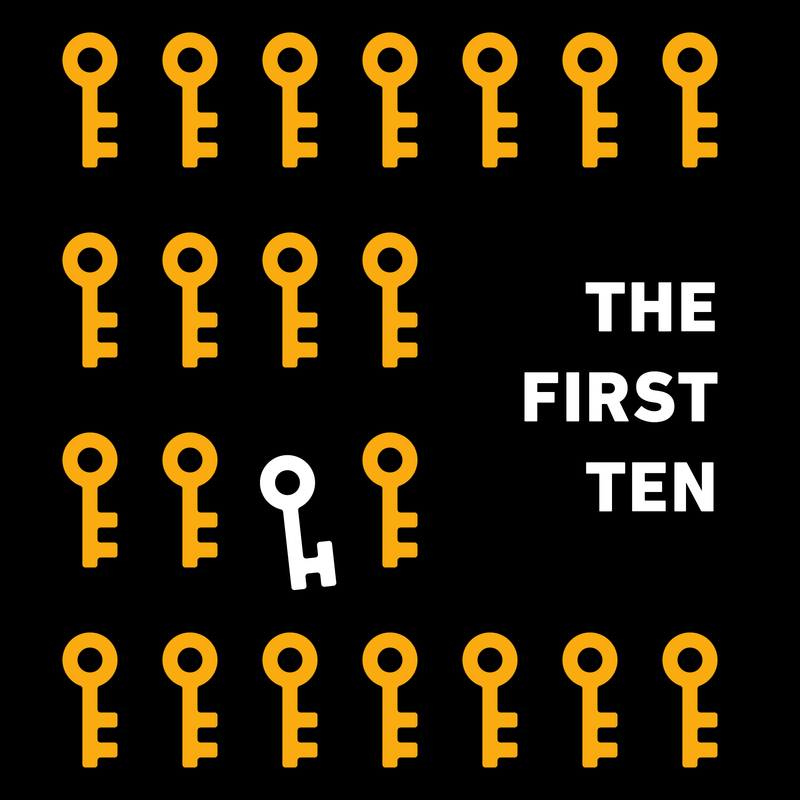 I led a Barcamp-style session at Coworking Europe called “Coworking History 101” where I kicked off by telling the origin story that I knew, as far back and as detailed as I could go. I then suggested that others in the room tell their origin stories, knowing full well that they would be different. Even in this self-selecting group – our experiences of “when coworking began” were varied. What was common, in some cases, was relative time period. What was common, in some cases, was the experience we had right before discovering coworking. And in some cases, specific people and times wove through our stories as if they were connected. My point was well illustrated: there’s no single history of coworking, and just like there is no single history of Rock and Roll. Music history does a good job of describing such histories, though and I think there’s lessons to be learned there. Much like coworking in the last decade, “Rock and Roll” was a disruptive force in the 1950s. And like coworking being a style of work, Rock and Roll is a style of music, with endless room for invention and reinvention, for classification and interpretation. Also like Rock and Roll, I believe that once coworking enters this collective consciousness, it’s here to stay and at the same time, will continue to evolve into countless additional genres. We’re excited about mainstream. We fear mainstream. By being here to stay, we also acknowledge that more people are asking questions. We’re working from our fringe communities into the mainstream. We’re working from tightly knit communities to vast seas of people. Mainstream means exposure for our communities and our businesses, but mainstream also means we lose control. Most of all, mainstream means “everything trends towards the center”. Geoff, my business partner at Indy Hall, worked at Rolling Stone Magazine as an intern after college. He personally describes Rolling Stone as “the magazine where people who cared about music went to read about music”, and I think he’s describing the essence of the founder’s intention. Geoff, being the punk rocker that we is and was, valued that fringe – much like those of us involved in the coworking community value the fringe we exist on. Over time, Rolling Stone has lost some of that edge. Frankly, over time, “Rock and Roll” has lost some of that edge. But it’s not lost to the world – it’s lost to new artists, new creators, new innovators in music. As coworking enters into mainstream – which I can say without a moment of hesitation is now as Regus enters the fold, in spite of their style for walking on stage being an arguable mismatch for the audience – we feel that some of the edge is lost and react with upset, frustration, concern, and defense. But great rock and roll artists didn’t throw up their hands when their genre went mainstream – they differentiated more. They created more. In music, it doesn’t matter what the music sounds like so long as somebody is listening and enjoying it. Great musicians know how to play for an audience – not just themselves. To their credit, I think Regus gets this – I’m willing to bet that some of their customers are leaving for coworking space options that are more suited for their tastes, now that there are options. But there are a lot of tastes in this world. Imagine if there was only one kind of music? If you didn’t like it, you’d listen to no music. But there are countless genres of music – and countless new ones invented all of the time. There are enough genres of music for you to like a certain style for a while, get sick of it, and then find a new genre of music. If coworking represents a shift in how we work, then like in music, it’s the discovery of new audiences that will allow for many, many, many styles of coworking to coexist in the world. If you’re lucky enough to have an audience – play for them, not the people sitting listening to another performer. At the risk of joining the sea of people quoting Steve Jobs for every purpose, I think this is the real point. Artists don’t create work so that it can be classified and described – they create work so that it can exist. We’re creating coworking so that it can exist. It doesn’t matter who’s doing it. We spend a lot of time talking about how coworking is “making a difference”. The reality is, the only way to make a difference is to make a difference. Coworking can help, but it’s not going to do the work for you. Remember, rock and roll is more than a musical style – it’s been an influence on life and culture around the world. Coworking has the same opportunity, and will continue to create genres and subgenres for a long time I’m sure. We just need to keep on playing.